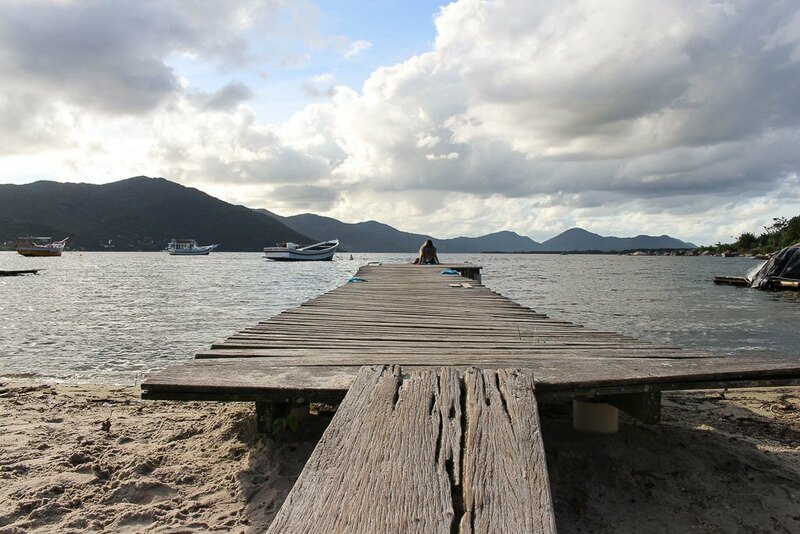 Let’s talk about Florianópolis, a stunning island in South of Brazil. A place you can travel in time and see the Portuguese heritage through the architecture and the way of living. And be enchanted by beautiful beaches, sand dunes and a bucolic lake that goes as far as the eye can see. It’s time to talk about the best things to do in Florianópolis: city tour, beach hopping and seafood extravaganza. For me, there is nothing more exciting than writing about Brazil. Even better when I can write about traveling to a place close to my hometown in Santa Catarina State. This post is perfect for anyone who is planning to travel to the South of Brazil. 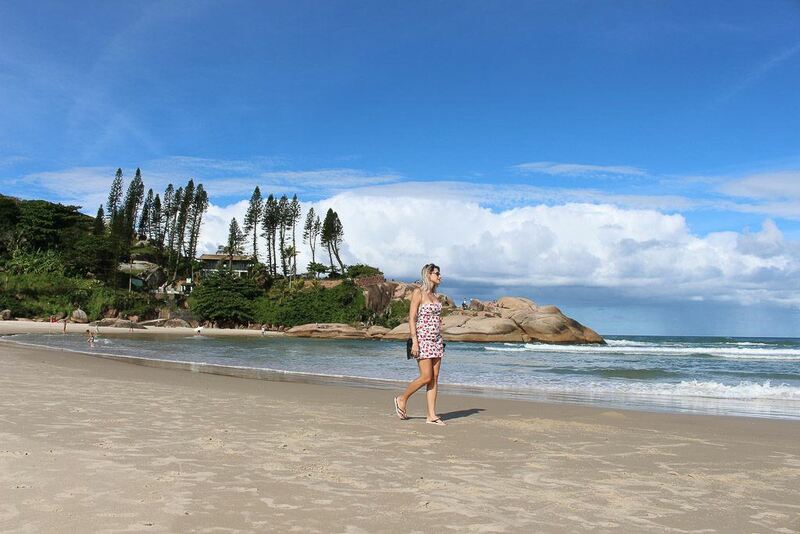 Who wants to have a nice day by the beach and see all the highlights of Florianópolis Island. 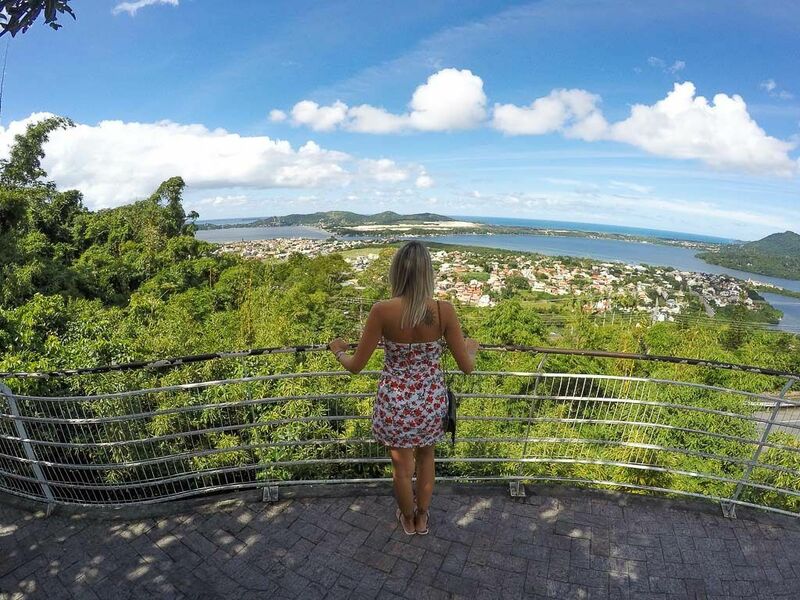 Why should you visit Florianópolis? First of all, everybody should travel to Brazil once in a lifetime. The biggest country in South America is the home of delicious food, untouched nature, big smiles and great parties. But most of the travelers just visit Rio de Janeiro, Sao Paulo and the Amazon Forest. Just a few venture themselves to Iguazu Falls and to the Brazilian countryside. The South of Brazil is usually overlooked by international travelers that have no idea how beautiful and interesting this part of the country is. Lucky you that we are here to give some travel tips to Florianópolis. To show you why this island is worth a visit. Florianópolis is called the magic island and it’s easy to understand why. The island is 54 km long, located in central part of Santa Catarina state coast, it was colonized by Portuguese people and the architecture, the food and the fortress show this strong heritage. The island is world famous for the beaches, in total there are 100 beaches spread from north to south of the island. Some are quiet and perfect for families, others have a rough sea with waves that are best fit for surfers. In the island there are two lakes, one called Lagoa do Peri that is fresh water and Lagoa da Conceição with salt water and a great spot for wind and kite surfing. In 2016 Florianópolis received 1,9 million travelers, from all corners of the world. The high season is from December to February, but the warm weather lasts from November to April. Sunny days, strong winds and a fresh scent of the sea that will hypnotize you. 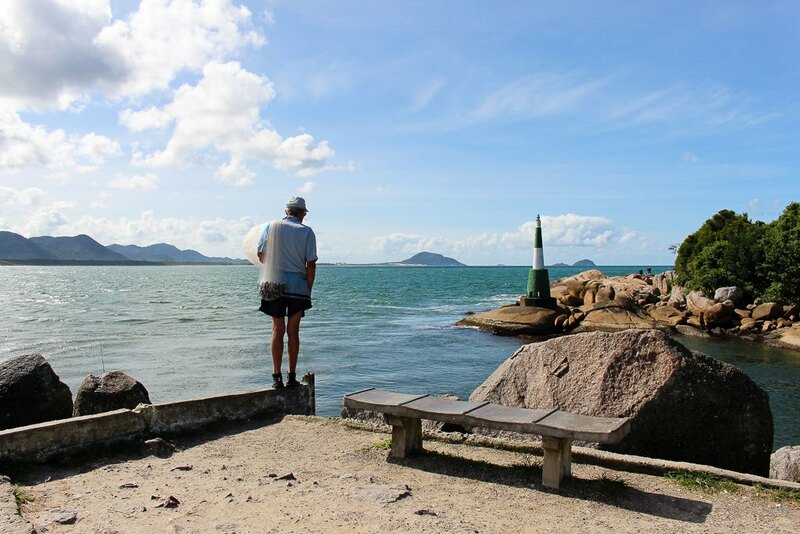 Some of the tourists come for a week, others visit Florianópolis on a day tour. But doesn’t matter how long you stay on the island as long as you visit the best places in Florianópolis and get a taste of its life. After 3 years far from Brazil, we decided to enjoy our state and see the best of Florianópolis. We did a day tour from Itajaí to Florianópolis, a scenic drive that connects two important cities of our state. Before became a full-time traveler [you can read our story of 3 years traveling the world here], Rob and I used to live in Itajaí, our hometown is one of the 3 cities in the state that during summer receive cruise ships. We choose to go on a Florianópolis city and beach tour as a test drive, so we could write to our international readers with accurate tips and recommendations. So you know what to expect and how to get most of your trip to Florianópolis. The day tour to Florianópolis we did is perfect for any traveler that visit South of Brazil and have only a few hours or days to enjoy this beautiful land. Our day tour to Florianópolis started early, at 9 AM our driver arrived and we were ready to travel from Itajaí [the city we were staying] to Florianópolis. The road trip is great, in a comfy car you can witness the natural and urban beauty of Brazil. On one side of the highway lush green Atlantic Forest, on the other side skyscrapers and beaches with white sand and greenish sea water. When the trip started I realized that our day tour has the perfect name: Scenic Drive to Florianópolis, walking tour and a visit to Joaquina Beach. The first part of the tour and the name matched perfectly. 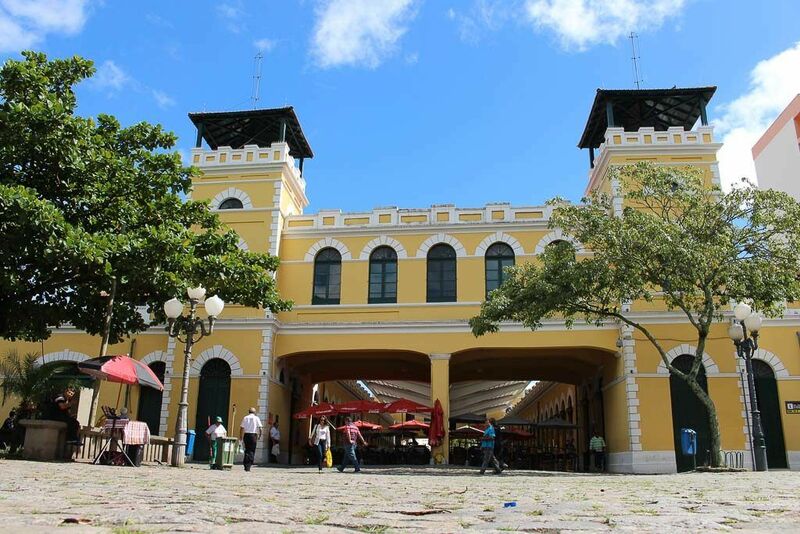 The second part of our Florianópolis city tour started in the old town. The driver stopped by the Public Market and by foot explored the historical streets of Florianópolis. The famous “Praça XV de Novembro”, a lush green square with 100 years old fig tree in the center. Besides the square is the Florianópolis Cathedral, also called Our Lady of Exile Cathedral in a typical colonial style. 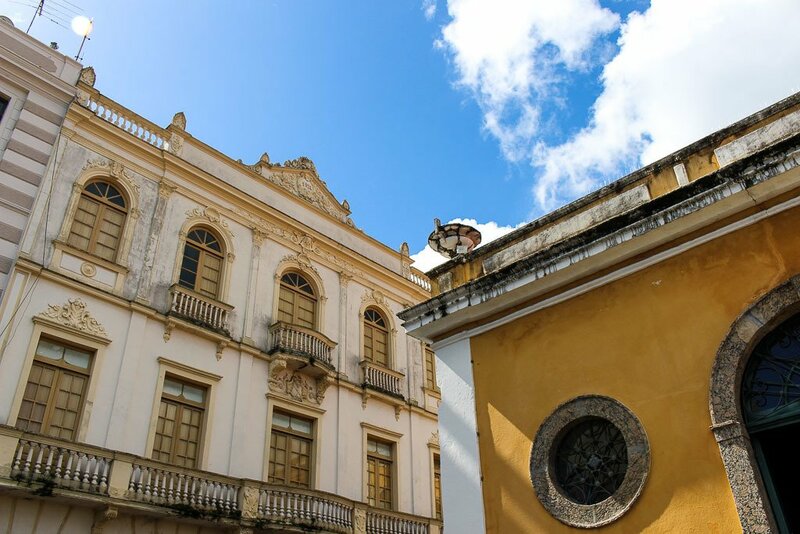 Walking through the streets you can witness the Portuguese heritage in some of the old palaces that have been turned into museums and a small church dedicated to the slaves. The end of our historical walk is the impressive Public Market with local restaurants, handicrafts shops, and the fish market. I know you not gonna shop fresh fish, but walk around to see some of our typical fishes and seafood. Back to the car to cross the modern part of the city. Florianópolis has a booming city center with modern buildings, big avenues, and views to die for. It’s interesting how the scenery can change in minutes, from colonial buildings to high rising hotels and then to a bucolic fisherman village. Our third stop was the picturesque Lagoa da Conceição, a saltwater lake that is huge and also one of the top attractions in Florianópolis. The lake is the perfect place for watersports enthusiasts, there you can do kayaking, wind and kite surfing, fishing or just relax and watch the life goes by. The neighborhood is packed with boutique hotels, guest houses and hostels. At the main street you can find restaurants serving traditional food. But we didn’t stop there for lunch, as our guide had a more local place waiting for us. A few more minutes in the car and we arrived at Barra da Lagoa, a fisherman village full of locals and only a handful of tourists. This is where local people eat seafood freshly caught and cooked to perfection. Before ordering your meal walk by the beach and along the canal where the Lagoa da Conceição connects to ocean to see some fishermen in action. Before we started the tour our guide asked about our preferences for lunch. Brazil is known for the delicious beef, but if you are in Florianópolis seafood is the best option. Leave the steakhouse for another day, feed your stomach and soul with fish, shrimps and all the local delicacies. 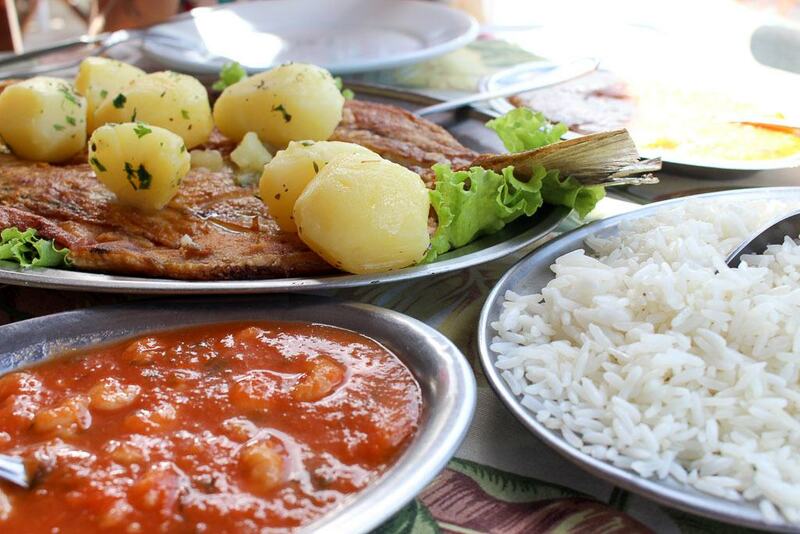 We ordered an ‘Anchova’, a local fish grilled with shrimp sauce, potatoes, rice and the traditional ‘pirao’ a mix of tapioca flour and fish stock. Everything was delicious, simple food cooked by local people with fresh ingredients. Time to burn all the calories we ate. From Barra da Lagoa we drove by Mole Beach and headed to Joaquina Beach, as our guide said, save the best for the last. This is a stunning side of Florianópolis, a surf beach that is famous for the waves, the scenery and the beautiful people. The sand is a never ending carpet. The seagulls flying through the sky look like a synchronized ballet, and in the water, the surfers try to drop the perfect wave over and over. Sit at the beach and watch the spectacle, it’s beautiful. 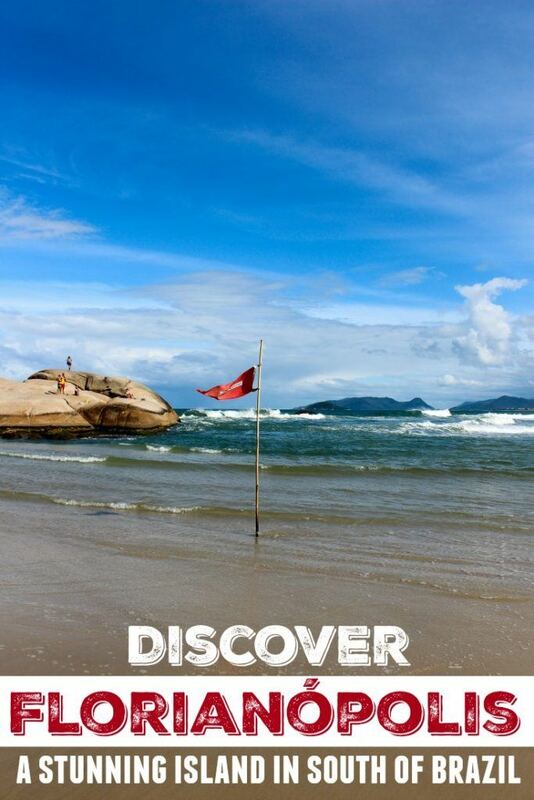 There you can lose track of time, but don’t stay too long, there is one more stunning place to vsit in Florianópolis. Our last stop was the Joaquina Dunes, sand dunes that stretch from the lake all the way to the beach. Leave your shoes in the car, put your feet in the sand and walk to the highest dune, the view is marvelous. The vegetation, the sea and just a few scattered houses nearby. 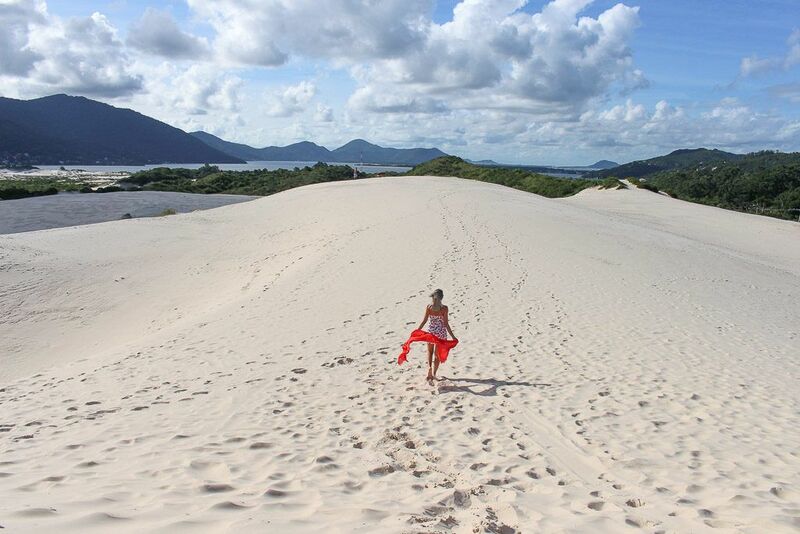 Walk around the Joaquina dunes is one of the top things to do in Florianópolis and the last stop of our tour. Florianópolis is enchanting, a perfect travel destination. It’s Brazil in a nutshell, with stunning nature, delicious food and history. I’m sure after this day tour in Florianópolis you don’t want to leave the island. We didn’t! But our guide was there to remind us that the scenic route back to Itajaí is beautiful during sunset. Why should you book a day tour to Florianópolis? There are few reasons why you should book a day tour to/in Florianópolis, first is the opportunity to see as much as you can in a few hours. Second, you have a guide with perfect English to tell the stories, to explain about the places and share with you the Brazilian way of life. Third, it’s safe and you won’t need to worry about transportation and how to get around. Our Scenic Drive to Florianópolis – walking tour and visit to Joaquina Beach was booked via GoBe a travel website with activities in 97 countries. These guys know how to organize tours and excursions. Thumbs up for the useful guide about traveling in Brazil they sent to us prior the trip. On the email, they explained about the currency, weather, safety issues, hotel and airport tips, and even how is the tipping culture in Brazil. Simple, straightforward information that will make your trip better. If you are visiting South of Brazil on a cruise ship, this day tour to Florianópolis is a perfect option. In Santa Catarina state the ships can dock in Itajaí, Balneário Camboriú or Portobelo, three neighboring cities that are close to Florianópolis. Doesn’t matter where you are arriving, you can book this tour and the company will arrange the pickup according to your necessities. And if you are traveling around Brazil, put Florianópolis in your itinerary. I know Brazil is huge and it can be challenging to travel around, but I promise that Florianópolis will be worth the time and the money. Come for a few days or for only one night, the magic island is waiting for you. Book a tour in advance and enjoy the best of Florianópolis. Florianópolis and the whole Santa Catarina state has an amazing hospitality service. From luxury resorts to local life guest houses, boutique hotels, and backpacking hostels. You can search and book the best hotels in Florianópolis here. If you are staying in our hometown then you can book your hotel in Itajaí here. Another hot destination in Brazil is Balneário Camboriú with superb hotels. To book your hotel in Brazil we suggest using Agoda and Booking.com websites, they have the best options and trustworthy reviews. Love this post?! Pin it for later!! 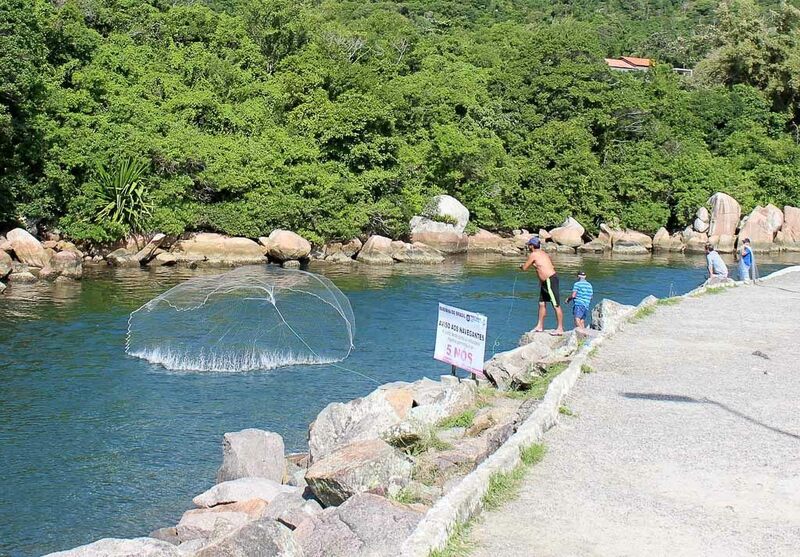 Now you know how to plan the perfect day in Florianópolis, what to do and places to visit. 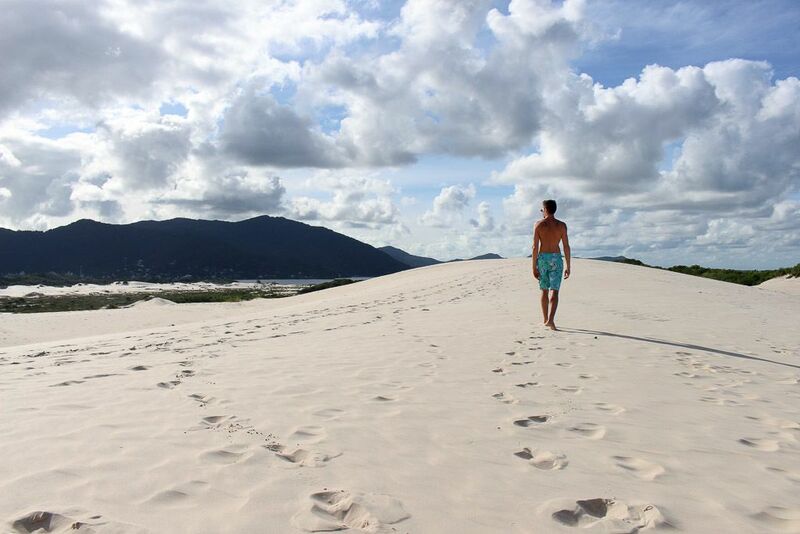 Book your tour and enjoy the best of this stunning island in South of Brazil. Have fun in our home state! I had never heard of Florianopolis. Amazing! So beautiful. I need to get to Brazil eventually, north and south. Because I have only seen Peru in South America. Time to expand my horizons. Especially with those gorgeous beaches. I am considering going to Floripa in March…could you tell me what to expect regarding the weather?